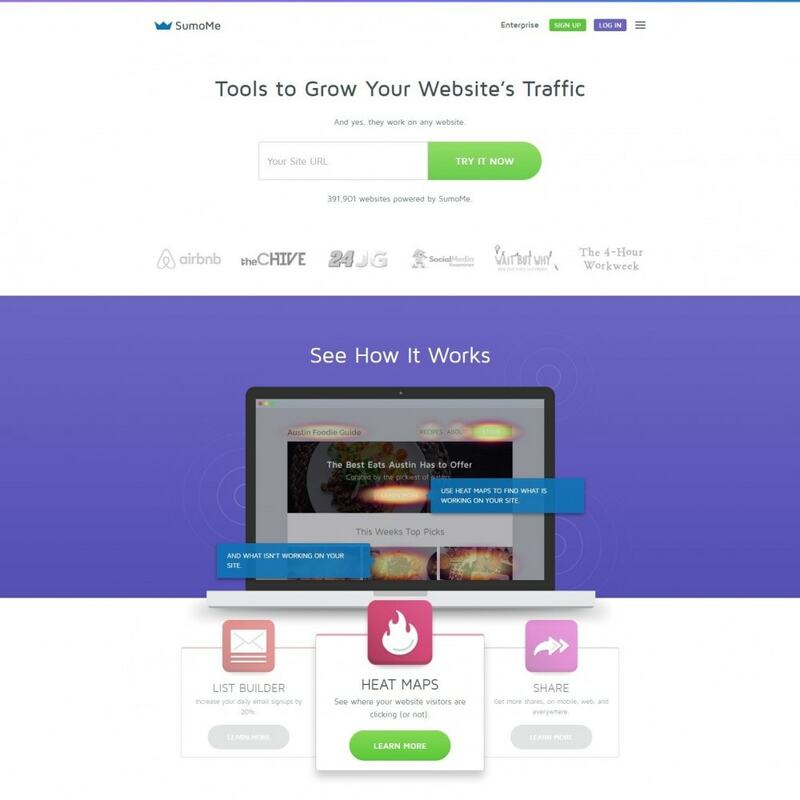 Tools to grow the traffic of your website. That's our goal, plain and simple, to help you grow your website traffic. DISCOVER - Get free traffic to your site. GOOGLE ANALYTICS - Track your growth without leaving your site. WELCOME MAT - Create your highest converting page. SCROLL BOX - A polite way to get more email signups. CONTENT ANALYTICS - Figure out if people are actually reading your articles/posts. IMAGE SHARER - Get more shares from all the images on your site. SMART BAR - The effective form to get new email subscribers — that's smart. HIGHLIGHTER - Increase your content sharing significantly. CONTACT FORM - Make it easy for your customers to talk to you. Discover gets you more traffic. 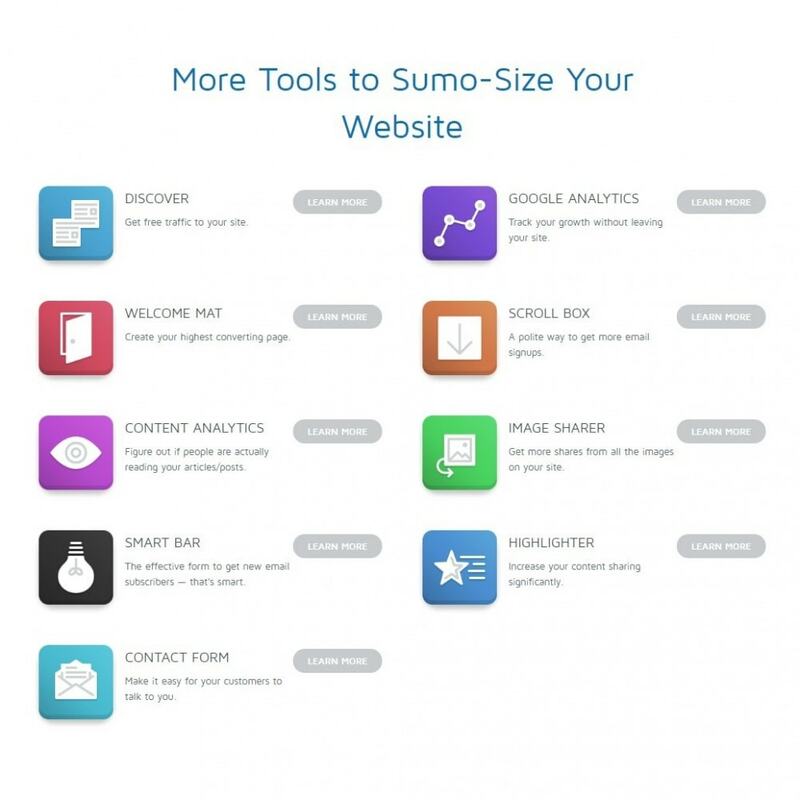 We connect you to 150,000+ other SumoMe sites to send more free traffic your way. 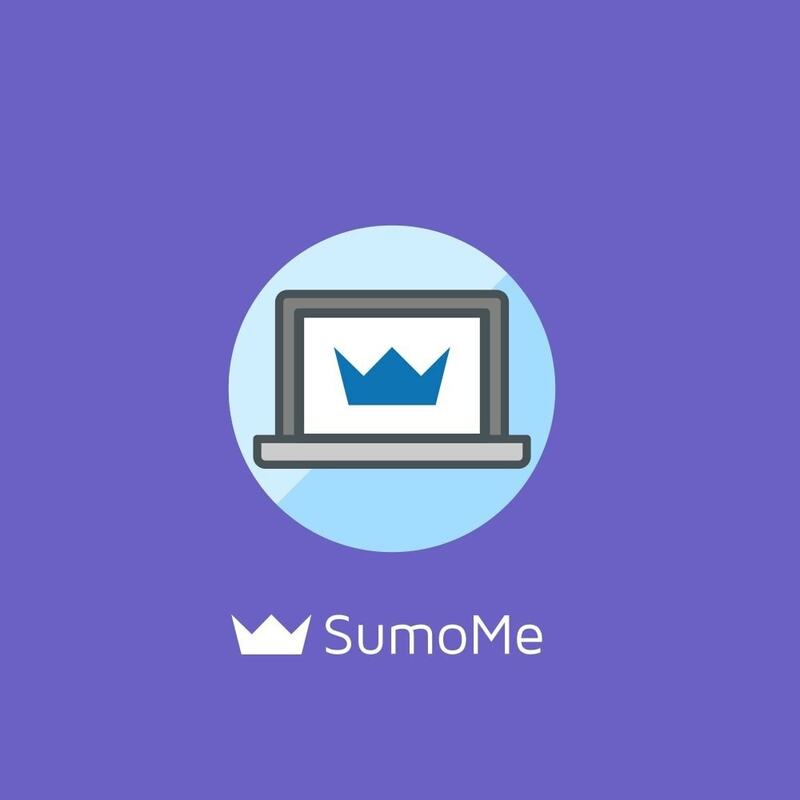 Other SumoMe sites promote your content on their sites, and you promote new content for your visitors on your site. Now THAT is some sweet synergy. Turn any page into your highest-converting page with Welcome Mat. Welcome Mat displays a full-screen call to action that shows when visitors land on your site. Encourage your visitors to join your email list, check out your popular blog post … the possibilities are endless! If you have a blog, you probably think your visitors read your blog posts all the way through. In actuality, you have NO idea how much of your content people are actually reading. 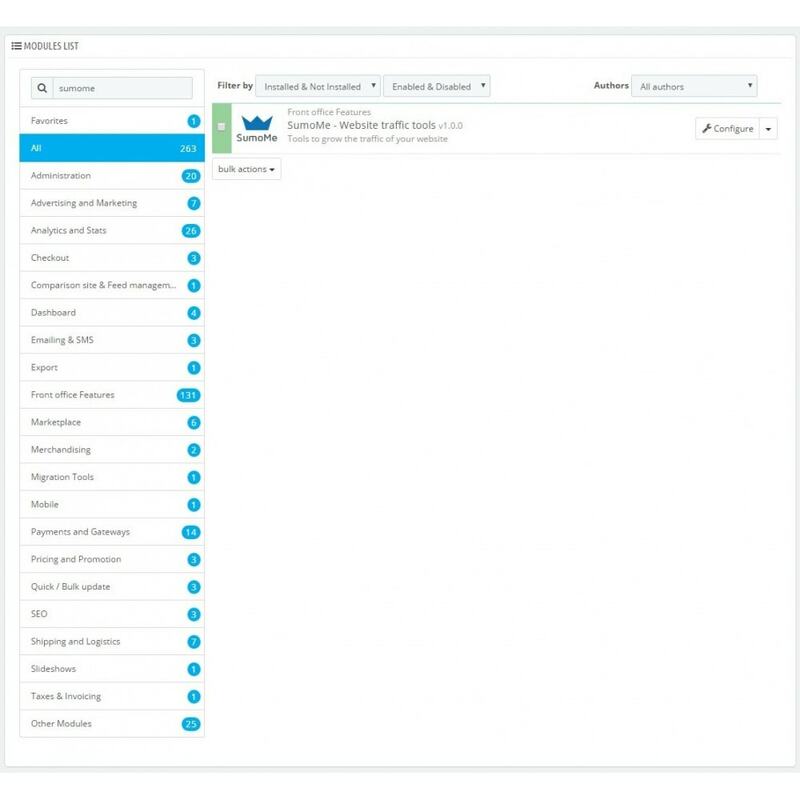 With Content Analytics, you can see exactly where your readers stop reading. Google Analytics by SumoMe makes it super easy to view your Google Analytics directly in the SumoMe dashboard. No more digging through your data to find the numbers that matter. We highlight your most important stats so you can easily track and grow your traffic. Okay, so you want to grow your email list, right? But we get it, you don't want to be too pushy about it. 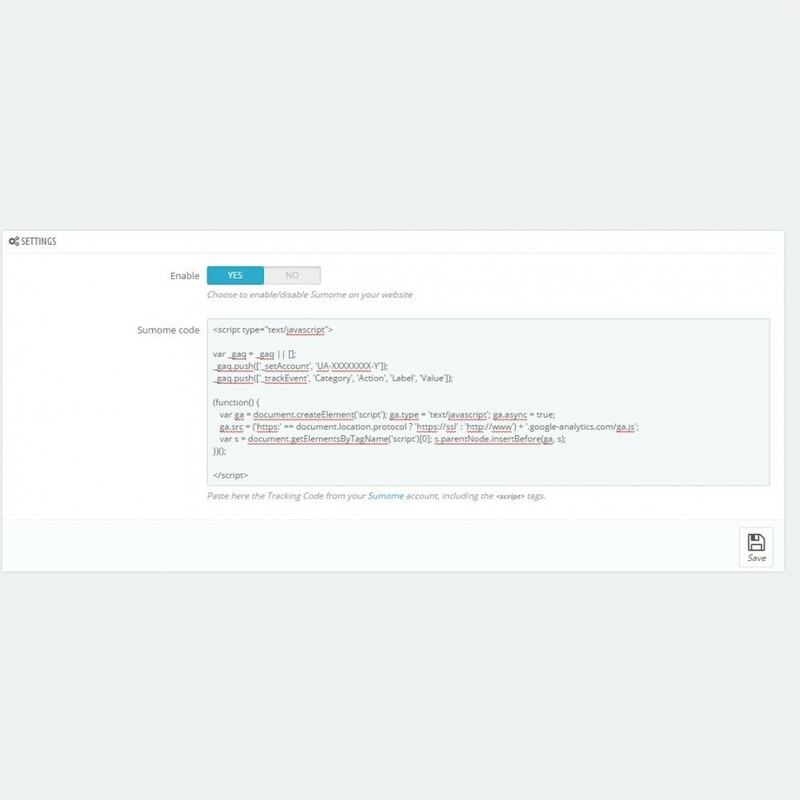 Scroll Box provides the solution: a polite way to ask your visitors for their email address as they finish reading your latest blog post or learning about your product. Right now, it’s insanely hard for visitors to share the images on your site. This means that you're missing out on a ton of easy viral traffic. Image Sharer makes it dead simple for your readers to auto-magically share the images on your site and link back to you, driving you viral traffic! Smart Bar sits beautifully at the top of your website reminding your visitors to join your email list, check out your new blog post, or whatever else you want them to do. You’ll be amazed at what a simple reminder can do :-). With Highlighter, your visitors can highlight sections of your articles to share with their friends, coworkers, and more. This does two insanely valuable things: 1. Drives you social traffic 2. Highlights popular sections for you readers. If people go to your website and have questions or want to talk to you, what do they do? With Contact Form, you can make it dead easy for your customers to reach you.